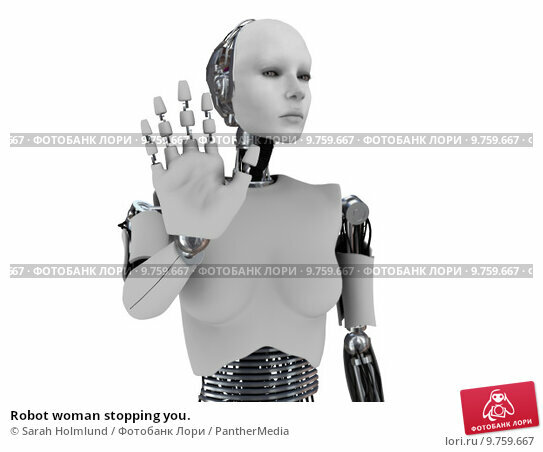 A robot woman holding her hand up like she is stopping someone. The hand is in focus and the body is out of focus. White background.